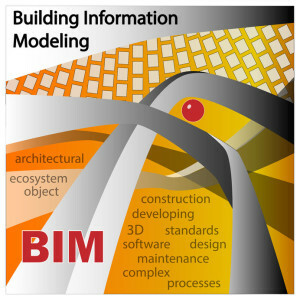 Building information modeling or BIM is becoming increasingly popular in today’s AEC (architecture, engineering and construction) environment. The combination of improved workflows and associated software programs has made designing everything from bridges and highways to skyscrapers and government structures far more efficient and cost-effective. Building information modeling has a number of benefits, but according to Engineering.com, many business leaders are still hesitant to take advantage. If you aren’t familiar with BIM, you might be under the impression that it’s a relatively new invention. Surprisingly, that isn’t the case. Engineering.com says the technology was first mentioned in a 1962 paper written by Douglas Engelbart. Titled “Augmenting Human Intellect: A Conceptual Framework” Englebart imagined a future where engineers and architects could plug various measurements and data into a computer and ultimately have software model a structure based off of that information. Engelbart was undoubtedly ahead of his time, but by the early 90s, the forefathers of modern BIM software were being utilized on construction projects. Now that you know a little bit about BIM’s background, let’s look at some of its many benefits. Before the introduction of building information modeling, project managers, contractors and construction leads had to rely on 2D designs based off of blueprints. While there’s nothing inherently wrong with a flat image, it does not provide a comprehensive view of how a structure will ultimately look once it’s built. In addition, a blueprint doesn’t account for challenges that may arise later like building codes, municipal regulations or cost-saving measures. Before BIM, mistakes often weren’t caught until far along in the construction process. Not only was this frustrating for investors and building crews, it often led to lengthy delays and costly repairs, placing dozens of projects over budget. Contractors and construction crews might not come equipped with x-ray vision, but building information modeling provides the next best thing. Because the plumbing, electrical and mechanical aspects of a building are often placed beneath the floors or within a structure’s walls, it’s often difficult to make final decisions until the construction process is already started. After all, one wrong measurement could lead to an entire re-design of a particular system. With BIM software, a designer can input all of the necessary data and information and then determine where plumbing, wiring and other mechanical features (ie: ducts, HVAC piping) will best fit. BIM software can also provide a comprehensive, detailed overview of potential issues that may arise during the construction process. Thanks to both the accuracy of the software associated with the BIM process and the formula it provides for our team to follow, we regularly realize incredible savings for our clients through BIM. Change orders have been part of the design process for years, but they’re often costly and time-intensive. BIM eliminates this step altogether providing our customers an average savings of 10% to 50%. At McNeil Engineering our goal is to aid contractors, owners and architects in meeting the requirements of the BIM process as prescribed in their contracts. We provide 3-D modeling for conflict coordination between building systems; architectural components; structural framing; and even site work. We look forward to assisting you however we can!